Please buy this---the best possible introduction to the Tilism-e Hoshruba from which we perform Dastans... Easy to read, fluent and deeply engrossing. A huge achievement. Tilism-e-Hoshruba is an epic narrative of the adventures of the legendary Persian hero Emir Hamza—the protagonist of Hamza Nama—his sons and grandsons. The epic opens with the commander-in-chief of the Islamic army, Hamza, pursuing Laqa, who makes false claims to divinity. Laqa takes refuge in Kohistan, adjacent to the enchanted land of Hoshruba, ruled by the formidable King of Sahirs, Afrasiyab Jadoo. Afrasiyab reveres Laqa and deputes his sahirs or wizards to help him fight Hamza. Hamza’s grandson Asad then sets out to conquer Hoshruba, assisted by the clever trickster Amar, who possesses divine artefacts such as a cloak of invisibility and a magic pouch containing parallel worlds. Though aided by powerful allies and beset at every step by magical snares, dangerous enchantments and seductive sorceresses, the Islamic army finally conquers Hoshruba. Tilism-e-Hoshruba has enthralled generations of readers with its chivalrous heroes, breathtakingly beautiful princesses, powerful sahirs, sahiras and demons, and their deepest and darkest magics. This brilliant condensed translation by Shahnaz Aijazuddin sensitively reinterprets the highly-Persianized Urdu of the original text into this eminently readable book that retains the essence of the original. 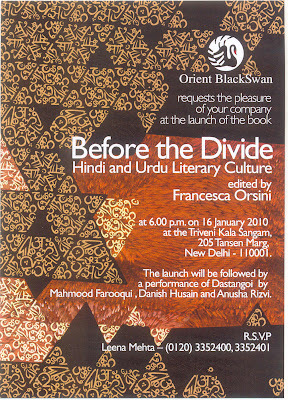 Shahnaz Aijazuddin is an accomplished writer who lives in Lahore, Pakistan. Through this pioneering translation distilling a lengthy text spread over seven volumes, she shares the enduring enchantment of Tilism-e-Hoshruba with a wider readership. Her first book Lost from View was published in 1994.